Get a ladies Michael Kors MK3179 champagne dial watch. PVD gold-plated case with metal bracelet. 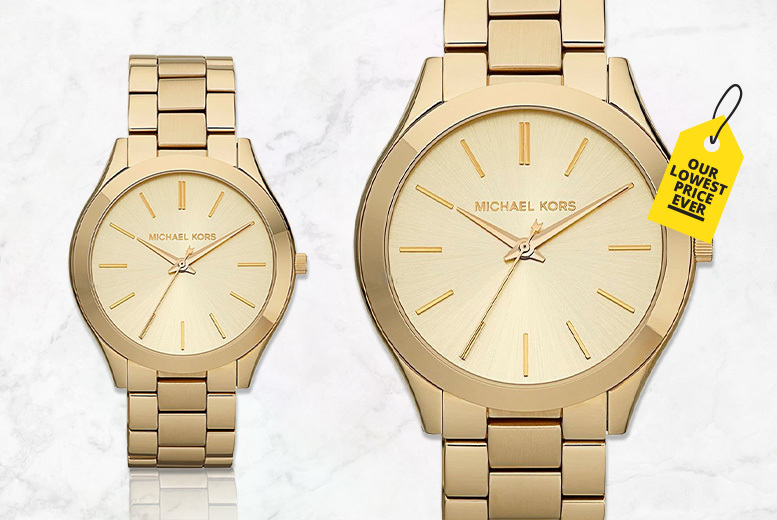 Sleek, markerless dial with Michael Kors branding.